Whether you’re looking for a spectacular Dinner by Candlelight or just a cozy spot to gaze into your darling’s eyes over a favorite beverage, get the Door County Chefs FREE Mobile Dining App for romantic Open in Winter restaurants, as well as pubs, markets, wineries, and more! Bay Shore Inn in Sturgeon Bay is located along Bay Shore Drive just minutes from all the fun shopping and delectable dining in town, and offers On-Site Massage Packages as well as Dining Packages, please inquire when making your reservation. Valentine’s Special 2019 (Valid in February Only): This two-night package includes a $40 gift certificate for a romantic dinner at the Nightingale Supper Club in Sturgeon Bay and a complimentary bottle of wine or sparkling cider and chocolates. Come enjoy one of our spacious water view suites and our many on-site amenities including an indoor pool and hot tub for a relaxing romantic getaway. Packages start at $210 for a one-bedroom suite. Birchwood Lodge in Sister Bay is located within walking distance of shops, restaurants, bars, recreation, a grocery store and the beach/marina/waterfront park in Sister Bay! Staying longer? Ask about the Saving Paradise Special for savings on your stay of up to 6 nights! Romantic Getaway Package: You’ve been looking forward to a romantic getaway for two in beautiful Door County, but why waste your weekend running errands? Let the helpful staff of the Birchwood Lodge handle the details for you, so you can spend more time with that special someone! Our discrete, professional staff can even help you surprise your significant other. When you enter your suite, which includes a king sized bed, double Jacuzzi whirlpool, and a gas fireplace, we will have a beautiful hand picked flower bouquet and melt-in-your-mouth chocolate truffles and scented bath salts waiting for you. We’ll make your reservation at elegant Alexander’s Restaurant, and gift certificate for $40.00 toward dinner is included. Package price is $85/plus tax added to the room rate. Valentine’s Day Special (Valid during February only): Treat your loved one with a getaway in one of our beautiful Premier Suites. Our Valentine’s Special includes a two nights stay in a whirlpool-fireplace suite. You will receive a $40 Gift Certificate toward a candlelight dinner at the famous Alexander’s Restaurant. After your romantic dining experience, enjoy chocolate covered strawberries in front of the fireplace in your suite. We will provide rejuvenating fragrances for the relaxing bath in your private, two person whirlpool. Come and unwind in the Birchwood Lodge while enjoying a romantic time with that special someone! In order to receive the special pricing, it must be mentioned when making the reservation. Cost of Valentine’s special is from $208+tax (Sun-Thurs) to $254+tax (Fri-Sat). Special is available during the month of February. Bridgeport Resort in the center of historic Sturgeon Bay offers an array of on-site recreational amenities including indoor/outdoor heated swimming pools with an indoor splash park and playground for the kids, a whirlpool, a sauna, and a fitness center. Fire & Ice Package (Valid Feb. 15-17, 2017): Two Night Package starts with a Friday Welcome Reception with Hors d’oeuvres; and on Saturday Visit Sturgeon Bay Shops and Entertainment Venues and Observe the Ice Sculpture Artists at Work! Package Includes Two Tickets to the Fire and Ice Dinner Dance at Stone Harbor Resort. Complimentary Continental Breakfast Saturday and Sunday. Reservations Required By February 11th, 2019. Call for Package Rates. Tickets are Not Included in Regular Room Rates. Nature of Romance Package: We’ll have a warm room waiting with a gift basket of local cheeses, crackers, meats and a bottle of cherry wine. Settle in and get cozy while watching a DVD from our movie library. Let us make arrangements for a private sleigh ride (weather permitting) or scenic Door County Trolley Tour and reservations for dinner for two ($40 value) at one of two fabulous restaurants: The Chop Steakhouse, or The English Inn. We’ll also include a $25 Door County gift certificate. Rates from $249-$489/ for 1 to 2 night packages. Country House Resort in Sister Bay offers a quiet, relaxed, adult atmosphere and a perfect place to get away from it all. 46 rooms & suites, most with private, water view balconies, are nestled on 27 secluded, wooded acres on a rolling bluff overlooking the waters of Sister Bay. Getaway to Romance Package (Valid thru May 2, 2019): Two-night stay for two in a water-view room or suite includes Candlelight dinner for two at the White Gull Inn or dinner at Alexander’s Restaurant, both in Fish Creek (both include a retail value of $50); plus Choice of a two person massage package at The Spa At Sacred Grounds* OR a gourmet gift basket provided by the Top Shelf Gourmet Shop; and a $25 Door County Gift Certificate which may be redeemed at shops, specialty stores, galleries and restaurants throughout Door County. Packages begin at $400 and vary with room selection. Cannot be combined with any other specials or promotions. * The Spa at Sacred Grounds is open limited days and hours during our Quiet Season. If they are not open or available during your stay, comparable services may be provided by another spa or massage therapist. Inn Love Package: Indulge in Island Orchard Cider & Homemade Truffles to welcome & warm you; Light the Fire & kindle romance by your Two-Way Fireplace; Dock your ipod into favorites; Draw your herbal bath with Grains & Loofah in your 6’ Double Whirlpool. Dream Two Nights in feather down comfort; Awaken to Breakfast in Bed with our Homemade Breakfast Basket delivered the first morning. Then toodle the backroads for a special gift with your $25 Door County Gift Certificate! Rates: $300 Weekdays/$366 Weekends. Add $40 for New Year’s Eve & Valentine’s Day Weekend. Say It with Flowers Package: A striking bouquet with fresh seasonal flowers, will welcome your sweetheart and say it all! Let us arrange a stunning arrangement for your Door County stay with us and we’ll personalize a card for the one you love. Please call us with 24 hour notice to add to your reservation at 800-324-5427. Let this arrangement make an impression. Arrangements for the package start at $40. Glidden Lodge Beach Resort is located on the shores of Lake Michigan north of Sturgeon Bay and south of Jacksonport near Whitefish Dunes State Park where you can enjoy a variety of outdoor activities. Crazy Little Thing Called Love Package (Available when Winter Hotel Rates are in effect, excluding holiday periods): Wine and roses await your arrival!! Whether it’s you and your honey, 2 couples, or your entire family, all sweethearts will enjoy the fabulous hotel resort accommodations at Glidden Lodge Beach Resort. What could be more perfect to cap off this escape than a $40 dinner certificate to Donny’s Glidden Lodge Restaurant, voted by the readers of Door County Magazine as having the best setting in all of Door County, Wisconsin? It’s right next door! 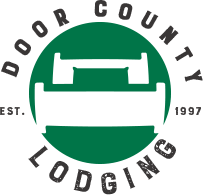 Hearts Ablaze Romance Package (Valid: December 2018 thru April 2019): Package Includes 2 Nights in a Lodge Room; $50 Dining certificate to the Chop, LURE, or Pasta Vino; Wine gift basket (specialty hot chocolate can be substituted for the wine); Door County Chocolate Bar by DC Chocolate Design; and use of DVD player with a movie and popcorn. Price: Weekends $260 for 2 adults, Monday-Thursday $230 for 2 people. Upgrade to a Premium or Whirlpool Room for $30 more. Scandinavian Lodge is located in the heart of Sister Bay. Amenities include in-room whirlpools, full kitchens, fireplaces, and free WiFi, and on the grounds you’ll find indoor and outdoor heated pools, a sauna, fitness center, tennis court, game rooms, playground, bike rentals, gas grills, and lots more! Romantic Getaway Package (Valid in February Only): Add a basket full of goodies for the sweetheart in you life. The basket includes a chilled bottle of Door County Wine, Door County Chocolate Covered Cherries, beautiful Door County Scented Candles, Door County Coffee & Hot Cocoa, Luscious Bath Salts, and a $30.00 gift certificate to a local restaurant. Any sweetheart will think your #1 with a treat like this! Package starts at $50. Nature of Romance Package: This two nights lodging in a beautifully appointed Whirlpool/Fireplace Suite includes a gorgeous sensual Door County Gift Basket, a $50 dining certificate for use at the Stone Harbor Restaurant and Pub, a $25 Door County Gift Certificate to use anywhere in the county, and a Peninsula Winery Tour & Tasting! Rate: $299. Westwood Shores Waterfront Resort in Sturgeon Bay is located on scenic Bay Shore Drive just 3 miles from shops, restaurants, scenic parks and a variety of attractions. Westwood Shores offers one and two bedroom suites featuring whirlpools, fireplaces and kitchens and a breathtaking view of the bay from every suite. Celebrate Valentine’s Day All Month Package (Valid February Only): Enjoy a two night stay in a waterview suite. When you arrive you will recieve a $75.00 gift certificate good towards services at Saguaro Day Spa (please call them ahead of time to make your reservation, 920-743-5380), a $30 gift certificate good towards dinner at the Inn at Cedar Crossing, please call them ahead of time to make your reservation, 920-743-4200) and a beautiful bouquet of mixed flowers in your suite. Call for current pricing. NOTE: All packages and specials are subject to change in availability and rate at the discretion of the lodging establishment. Always mention the specific lodging package or special you wish to book upon making your reservation.